Whether you’re talking to the team, manager or executives, no one will get on board with your initiative unless you can explain what’s in it for them. 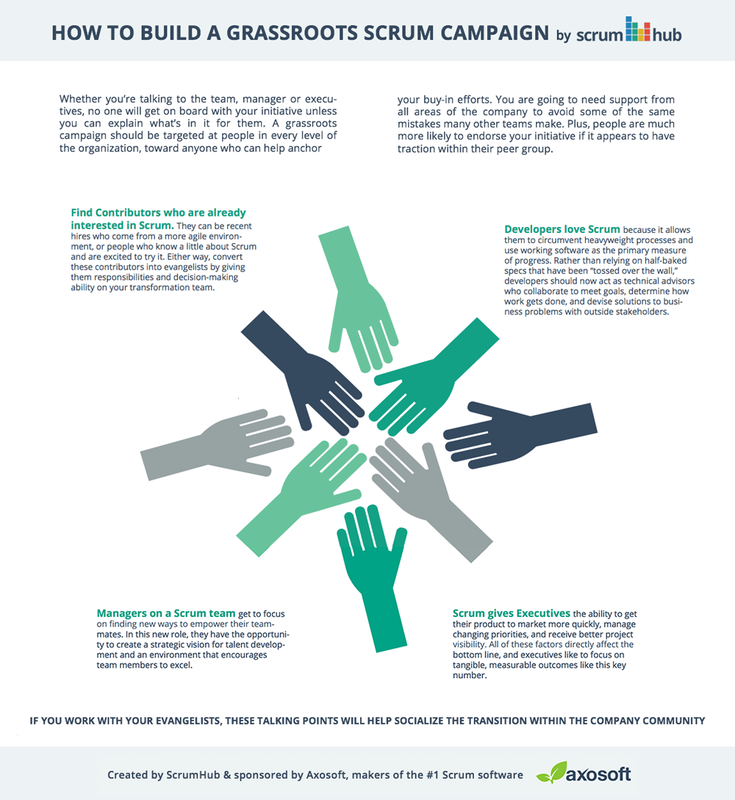 A grassroots campaign should be targeted at people in every level of the organization, toward anyone who can help anchor your buy-in efforts. You are going to need support from all areas of the company to avoid some of the same mistakes many other teams make. Plus, people are much more likely to endorse your initiative if it appears to have traction within their peer group. 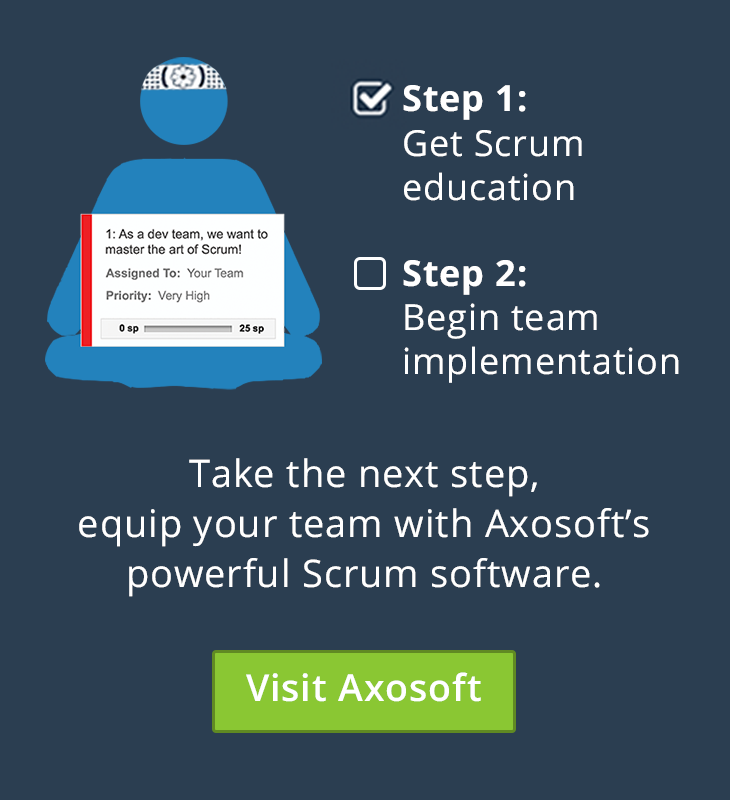 Find contributors who are already interested in Scrum. They can be recent hires who come from a more agile environment, or people who know a little about Scrum and are excited to try it. Either way, convert these contributors into evangelists by giving them responsibilities and decision-making ability on your transformation team. Developers love Scrum because it allows them to circumvent heavyweight processes and use working software as the primary measure of progress. Rather than relying on half-baked specs that have been “tossed over the wall,” developers now act as technical advisors who collaborate to meet goals, determine how work gets done, and devise solutions to business problems with outside stakeholders. Instead of acting as team time tracker, managers on a Scrum team get to focus on finding new ways to empower their teammates. In this new role, they have the opportunity to create a strategic vision for talent development and an environment that encourages team members to excel. Scrum gives executives the ability to get their product to market more quickly, manage changing priorities, and receive better project visibility. All of these factors directly affect the bottom line, and executives like to focus on tangible, measurable outcomes like this key number. If you work with your evangelists, these talking points will help socialize the transition within the company community.